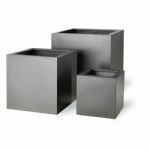 A superb collection of Cube and Square Planters in many different sizes and materials. All our planters are frost and fade proof. The fibreglass range has a wide colour choice, literally any colour you like in gloss, matt or metallic finishes. 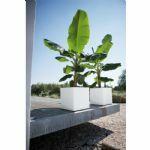 This is a great range if you want to colour - match your planters. All galvanised steel pots can be powder coated to any colour and made to any size. 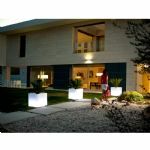 We also have a massive range of authentic looking faux lead and terracotta fibreglass planters. Shop here to make your garden unique and wonderful!